Reg. FTAI, Reg. ICP, Reg. UKCP, Reg. EAP, Reg. FT Clin Supvr. Dr. Padraic Gibson is a consultant clinical psychotherapist. He is currently the Clinical Director of The Bateson Clinic, Dublin, Ireland. He has been a Consultant Psychotherapist as well as a Clinical Director with Health Services Executive, Statutory funded services for over a decade. He is currently on the clinical register of psychotherapists with the Irish Council for Psychotherapy, The Family Therapy Association of Ireland, and the United Kingdom Council for Psychotherapy and the European Association for Psychotherapy. Dr. Gibson is a lecturer and a senior research associate at Dublin City University, Institute of Education (DCU) and senior clinical researcher, clinical trainer and lecturer at the Post Graduate School of Psychotherapy, Centro di Terapia Strategica in Arezzo Italy directed by Professor Giorgio Nardone (Centro Di Terapia) as well as a research and training associate at the specialist clinic and clinical programme at, LACT, in Paris France (LACT). Dr. Gibson is also one of the co-founders of The OCD Clinics International ® with Dr. Portelli and Dr. Papantuono. Padraic has also trained as a clinical psychotherapy supervisor and teacher at The Mater Hospital, Dublin which forms part of University College Dublin’s postgraduate programme in Psychotherapy, as well as other post graduate trainings in Doctoral Research Methods, Organizational Consulting and Cognitive Behaviour Therapy at the University of Sunderland, University of Leeds, The Tavistock Clinic London and the University of East London. Padraic has also lectured at postgraduate level in Trinity College Dublin and at a number of other postgraduate programmes. He has trained and presented in Ireland, Italy the United Kingdom, Malta and with USA students on the topics of systemic theory and Brief Strategic treatments for psychological disorders and on doing clinical research in psychotherapy. He has a rigorous commitment to clinical research and in finding ways to make his treatment even more effective and to this end has completed a number of significant clinical research projects on Eating Disorders, Postnatal Depression and Obsessive Compulsive Disorders with international colleagues Professor Gianluca Casltenuovo, Dr. Portelli, Dr. Papantuono Dr. Giada Pietribissa from the University of Milan, University of Macerata and University of Malta. (2014) Winning Without Fighting: A Handbook of Effective Treatments for Social, Emotional and Behavioral Problems in Children and Adolescents. Malta University Press and Amazon Kindle. (2016) Operative Diagnosis- A New Approach to Diagnostic Process: Context- British Association of Systemic and Family Therapy. Outcome Research in Treating Post-Natal Depression: Duration 2010-2012.This paper outlines a 2-year study with 71 women which was completed here in Dublin, in conjunction with my colleagues, Dr. Patrick O’Mathuna, medical doctor and clinical director of Castlemill Medical Centre, Dr. Gian Mauro Manzoni Istituto Auxologico, Milan and Professor Gianluca Castlenuovo, Istituto Auxologico Italiano IRCCS, Catholic University of Milan. The paper outlines the outcomes of our treatment for postnatal depression and in keeping with our rigorous methodology of ‘knowing through changing’ this has allowed us to develop a unique and successful model and method for treating for this invalidating problem. Published: Feedback -Irish Journal of Family Therapy. Rendering Brief Strategic Therapy even more valid and in order to verify our model of treatment and to observe fidelity in treatment, he has along with Professor Giorgio Nardone completed stage one of our most recent treatment manual. This manual was piloted this year in a research project between Dr. Claudette Portelli and myself. March-2016: California Professional School of Psychology. Professor J. Jacksons, postgraduates. August 2016- Mental Health Team, The Hospice Harolds Cross, Dublin- Training clinical team on Effecitve Clinical Dialogue. October 2014: Effective Treatments for Postnatal Depression and international research project; World Conference of The Strategic and Systemic Therapy Network. October 2013: Brief Strategic Treatment for Eating Disorders – Psychotherapy Team, St Vincent’s Hospital, Fairview. May 2013: Brief Treatment for Eating Disorders – Department of Adult Psychiatry, Naas General Hospital. June 2012: Treating Anxiety Disorders – Kildare, West Wicklow Mental Health Team. May 2012: The Diagnostic Interview: Using a Strategic Dialogue – Kildare, West Wicklow Mental Health Team. March 2011: Treating adolescent anorexia and bulimia: Kildare West Wicklow Mental Health Team. Feb 2011: Research Symposium Tavistock Clinic London: Presentation of Research Update on the treatment mechanisms in systemic treatment for panic disorder. 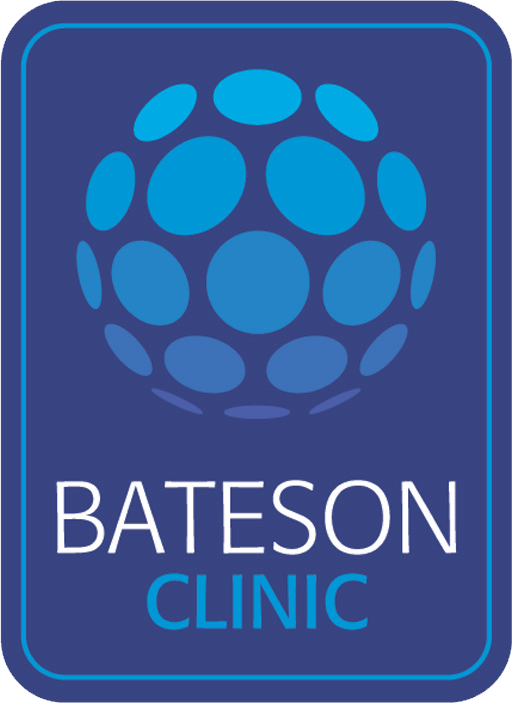 The Bateson Clinic is currently one of the most effective Private Psychological Therapy Clinics available anywhere. Based in Dublin City Centre, we offer treatment that is brief and highly effective - with an average of 8 sessions provided.